* Air Stream is designed for Chromecast, Chromecast Audio, Android TV, and various Google Cast-enabled devices (e.g., Sony TV, Philips TV, Toshiba TV, Sharp TV, Nexus Player, Nvidia Shield)! * Works with virtually all media formats, such as MKV, MP4, MOV, AVI, WMV, MP3, WAV, etc. * No wires, no configuration, and no hassles! Simple and easy! 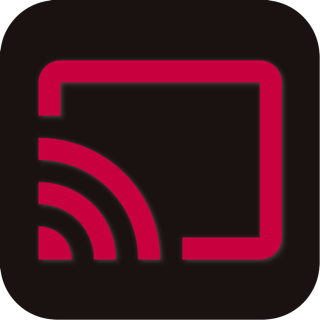 Air Stream can wirelessly stream any media format to your TV via your home network. 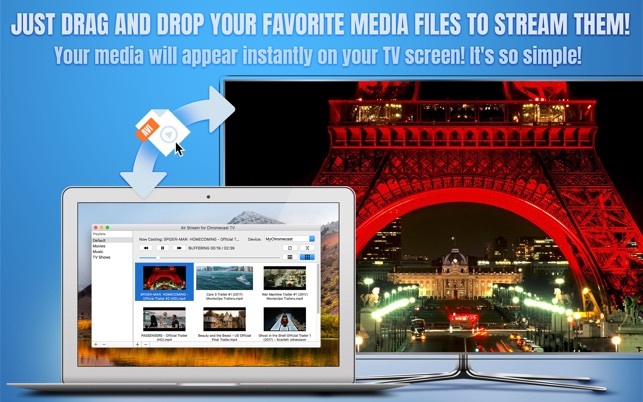 Just drag and drop your favorite media files into Air Stream app, and the media will appear instantly on your TV screen! It's so simple! 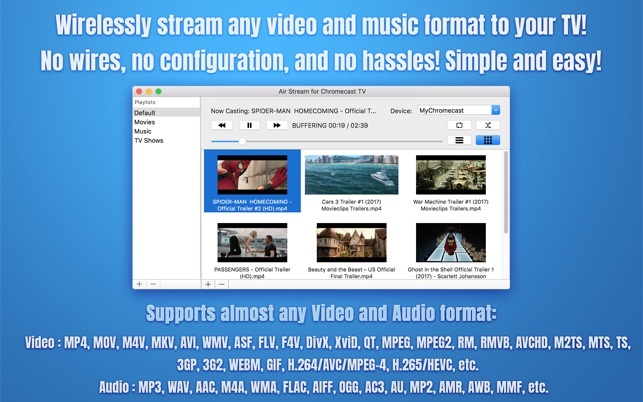 • Supports Full HD 1080p Video Streaming. • Supports List and Thumbnail Views. 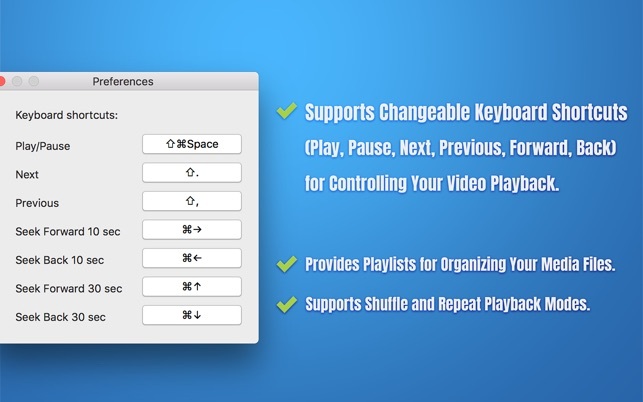 • Supports Changeable Keyboard Shortcuts (Play, Pause, Next, Previous, Forward, Back) for Controlling Your Video Playback. • Supports Shuffle and Repeat Playback Modes. 1. Your Mac and TV (or device) should be connected to the same network. 2. Run the app. It will scan your network. Please wait for a while. Once your TV is found, select it from the device list. 3. Drag and drop your media files into the app, then click the Play button. 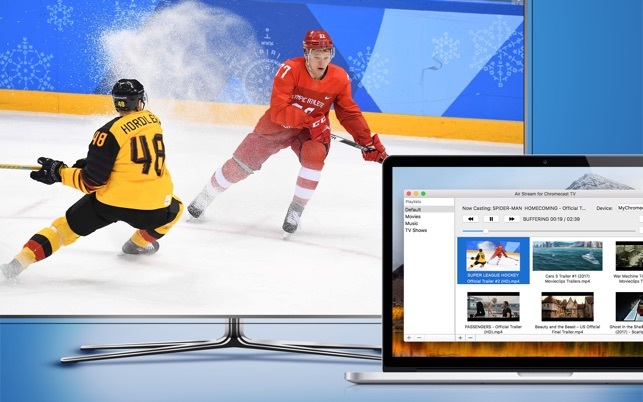 Soon, you should see your video or music starting to play on your TV! 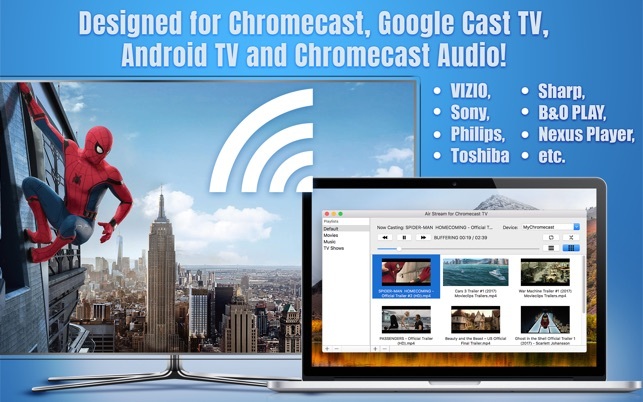 • The app may take up to 30 seconds to discover your Chromecast TVs or devices on the network. If it fails to find them or fails to play your media file, please try to restart your router, Mac and TVs/devices. NOTE: All trademarks, such as, Chromecast, Google Cast, Android are intellectual properties of respective owners. This Mac application is developed, owned and maintained by a third-party application that has no affiliation with or endorsement from any of the trademark owners. Go to your system preferences under Sequrity & Privacy, go to Firewall and turn it off. Then it works like a charm. Finally I can stream to my Chromecast! The connection was poor initially, so I reset my router and restarted the app. It works then! !